DHAKA, May 27, 2018 (BSS) - Bangladesh Awami League today congratulated Prime Minister Sheikh Hasina on receiving Doctor of Literature (D. Litt) from Kazi Nazrul University of West Bengal in India for her outstanding role in improving the living standard of the people through democracy, women empowerment, poverty alleviation and socioeconomic development. In a statement, Awami League General Secretary and Road Transport and Bridges Minister Obaidul Quader congratulated Prime Minister Sheikh Hasina and said, "It is a milestone of pride and dignity for the country." He said Bangladesh is now a role model before the world in different sectors including education, health, communication, culture, sports, power, science, information technology, industry, commerce, poverty alleviation and women empowerment. 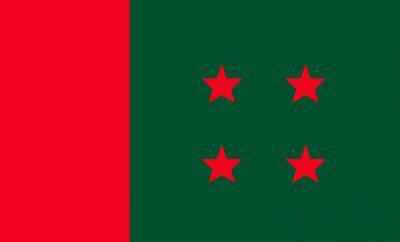 Bangladesh is moving forward fast under the dynamic leadership of Prime Minister Sheikh Hasina, Quader added. Prime Minister Sheikh Hasina, also the AL chief, received an honorary Doctor of Literature (D. Litt) degree from Kazi Nazrul University of West Bengal for her outstanding role in improving the living standard of the people through democracy, women empowerment, poverty alleviation and socioeconomic development on May 26. The university conferred the degree on her at a special convocation and the 3rd annual convocation of the university on its campus in West Burdwan district, India.